Kermit gone wild. Twist on the original meme. @Supreme Dalek, But that's none of my business. Who is this 'much' and why are we drinking to him? 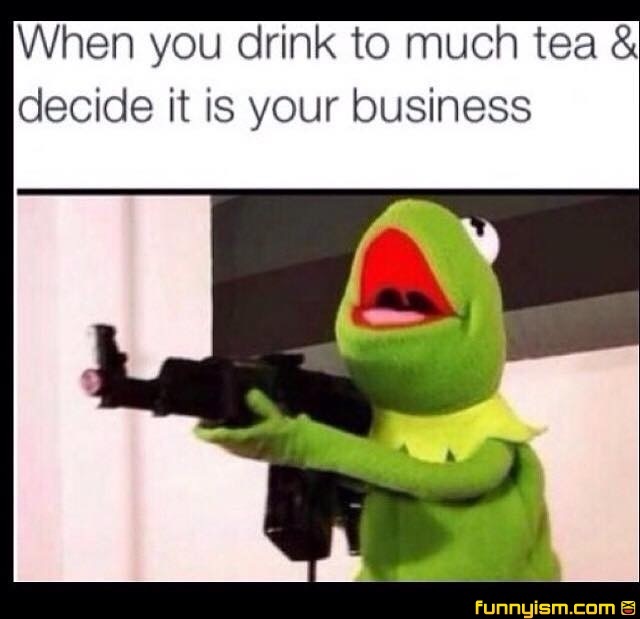 Stuff like this wouldn't happen if you drink too much tea ...but that's not my business.